Wednesday afternoons are for baking. This is the time when I get home early from class and want to drown out the information about all the subtypes of mood disorders as quickly and effectively as I can. If I feel like making something culinary, I browse through my Pierre Hermé and Dorie Greenspan books; if I’m in the mood for something simple yet satisfying, I turn to Nigella or The Complete Magnolia Bakery Cookbook. This recipe comes from the latter. Light, moist and filled with fruit. The sort of cake you can eat at 8 am for breakfast and 7 pm for dessert. Rating: 4- out of 5. - Grease and lightly flour a 10-inch tube pan. - In a small bowl, sift together the flour, baking powder, and salt. Set aside. In a large bowl, on the medium speed of an electric mixer, beat together the oil, sugar and eggs until light and thick, about 3 minutes. Add the dry ingredients in three parts, alternating with the milk and vanilla, beating after each addition until smooth. Fold in the blueberries. Pour the batter into the prepared pan and bake for 60-70 minutes, or until a cake tester inserted in the center of the cake comes out clean. Let the cake cool in the pan for 1 hour. Remove from the pan and cool completely on a wire rack. - To make the vanilla glaze: In the top of a double boiler, over barely simmering water, combine the sugar, cream and vanilla. Stir until the ingredients are well blended, about 2 minutes. Pour into a glass measuring cup and cover until ready to use. When the cake is completely cool, drizzle the glaze decoratively over the cake. Allow the glaze to set for 1 hour before slicing and serving the cake. One of the blueberries peeking out to say "Hi!" 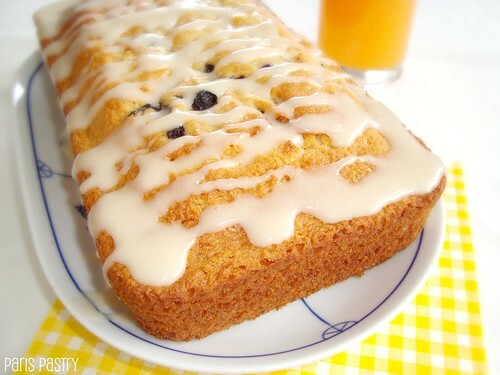 This cake is just adorable and I like how you give blueberries some character :) Delicious and lovely photo, bravo! This looks fantastic. Blueberries are right in season in Australia right now - so this recipe is spot on! Mmmmmm!!! I love blueberry desserts. This would be perfect to serve for breakfast when we have company in town!! 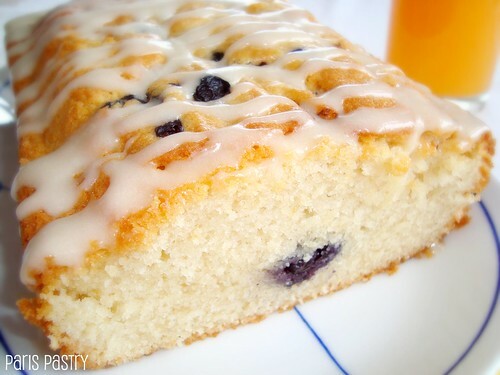 Mmm I love coffeecake and blueberries are a great addition. In fact, now that you've got me thinking I'm not sure why I don't make coffeecake for myself.